LIFE FRANCA is a European project that promotes flood risk anticipation and communication in the Alps. It is realized thanks with the contribution of the LIFE programme, the European Union’s financial instrument supporting environmental, nature conservation and climate action projects. The main objective of LIFE FRANCA is to promote a culture of flood risk anticipation and prevention in the Alps through the analysis and modification of collective socio-cultural attitudes, decision-making practices and common perceptions of the environmental risks affecting the territory. 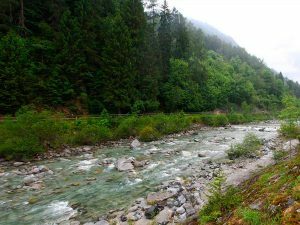 Hydrogeological hazards in the Alps result from the region’s geomorphological, hydrographic and climatic conditions, as well as from the significant increase in urbanized areas that has frequently occurred without proper land use planning. Flood hazards currently threaten many communities in Trentino, a region with numerous small mountain torrents and large rivers in the valley bottoms. Thus, flood events in the Province of Trento are not at all rare. Despite this, there is limited awareness of the risk among the population and proper communication about flood event management is sporadic. The efficacy of risk prevention and mitigation depends on the participation of all parties involved. Promoting a culture of regional hazard anticipation and prevention in Trentino and the Alps, realizing that complete safety cannot be guaranteed. Preparing the population for flood events through a participatory process involving citizens, experts and administrators. The results of this pilot project will be transferable to other regions, as well as to other natural hazards connected with climate change. The project is coordinated by Professor Roberto Poli, UNESCO Chair on anticipatory systems and director of the Social Forecasting master course. The area of intervention of LIFE FRANCA is the Alpine region. 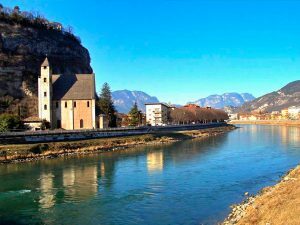 Three experimental study areas have been identified within the Province of Trento: the city of Trento and the Adige River, the town of Borgo Valsugana and the Brenta River, and the Rendena Valley and the Sarca basin. These areas have been selected based on flood hazard characteristics, vulnerability features of the territory and main economic activities (industry, agriculture, tourism). The city of Trento is located in a highly urbanised area with a significant population density. 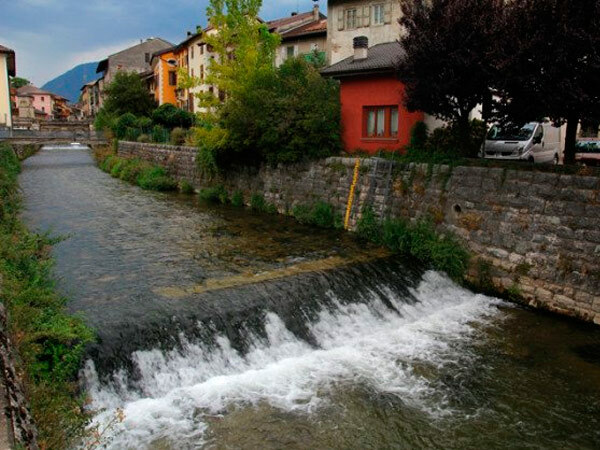 The flood risk originates from the presence of the Adige River and the Fersina Torrent, which flow through areas of the city. The hydrologic issues of the two waterways are well-known and various flood mitigation structures and artificial basins have been built to contain flow rates and reducing the effects of flooding. The typical flood of the Adige River is the “liquid flood”, which is characterised by large volumes of water, slow and predictable development and limited sediment transport. The town of Borgo Valsugana is located in an urbanised environment. The town centre has a high population density, while the outskirts are less populated with numerous agricultural areas. The flood hazard is due to the presence of the Brenta River, which flows through the town, as well as to the sediments transported by torrents located uphill (e.g. the Boali). Several mitigation structures have been built to contain flow rates and regulate solid transport, both in the town and in the mountain network. The hydrologic issues of the area are known and well-researched. The area is affected by events that develop rapidly and unpredictably, involving large volumes of water and an extensive territory. The Rendena Valley, in particular the municipalities of Strembo and Bocenago, is immersed in a rural, mountain landscape. The village centres have a low population density and the land is primarily used for agricultural activities. The local flood hazard is connected with the presence of several minor waterways in the Sarca Torrent drainage basin, including Valle dell’Acqua, Rio Val di Pach and other torrents. Several mitigation structures have been built to regulate sediment transport in the torrents and new structures may be added over the next years. The floods that characterize this basin have significant solid material transport, are impulsive and hard to forecast, and have a high potential for damage but limited spatial extent. The project partners will be responsible for different actions, which will all contribute in developing a culture of flood risk awareness. Collection, analysis and reorganisation of available flood risk data in Trentino. Production of strategic scenarios to evaluate the impact of potential flood events, starting in the experimental study areas identified in the Province of Trento. Focus groups will be used to involve the public in preparedness exercises that simulate future flood scenarios. Construction of an innovative online flood risk portal that provides a reference for anyone seeking information on hydrogeological conditions in the Trentino region. The portal will be updated by employees of the Autonomous Province of Trento, but any citizen will be able to bring to attention anomalies observed in the region. Organisation of seminars for specialists, administrators and journalists to improve skills relating to handling and communicating regional hazards to the public. Organisation of workshops, activities and educational outings for students and training courses for teachers. Creation of travelling exhibitions, guided tours, conferences and meetings for the public in the informal setting of Science Café events. Creation of a network of relationships and collaborations with other stakeholders, organisations and associations that are not project partners but have an interest in its results, like neighbouring regions, different drainage basin authorities, the Ministry of the Environment, environmental associations, insurance companies, etc. Exchange of information with other LIFE projects promoting awareness of climate change-related hazards.